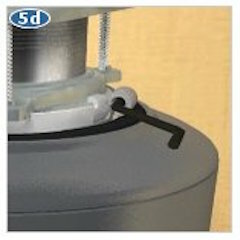 If you've just purchased a new InSinkErator disposal, you'll be glad to know our disposals are the easiest to install. 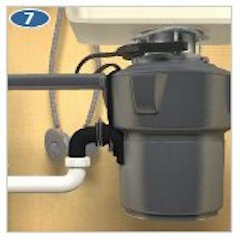 InSinkErator shows you how to install a garbage disposal by following the steps outlined in the instructions manual and as shown in this 4-minute video. 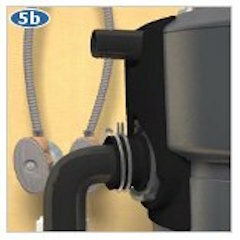 Before attempting to install your disposal, read and understand the entire InSinkErator safety and installation instructions listed below. The following instructions are for a first-time disposal installation. If replacing a disposal, click here for instructions. 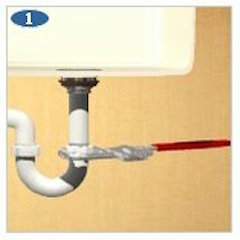 Disconnect the p-trap and the horizontal extension pipe. 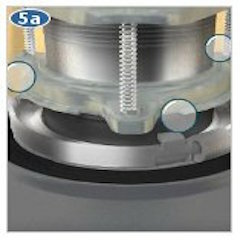 Unscrew the large nut that holds the strainer in place underneath the sink. Remove the strainer body. Pry off snap ring and clean off the old plumber's putty. 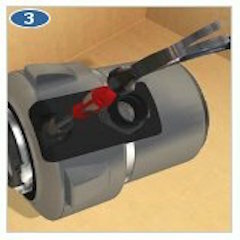 Using a flathead screwdriver, loosen the 3 screws on the mounting assembly and pry off the snap ring. Clean off the old plumber's putty that surrounds the edge of the drain opening. 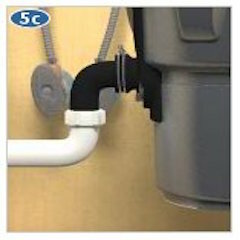 From under the sink, slide the fiber gasket, backup flange and mounting flange over the sink flange. Hold these pieces in place. 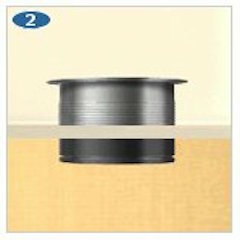 Slip on the mounting and snap rings. Next, slip on the mounting ring and snap ring. Tighten the three mounting screws, alternately tightening each screw a few turns at a time until the mounting assembly is evenly and tightly seated against the bottom of the sink. Remove the dishwasher knockout plug. If you're looking for power cord kit installation instructions, click here. 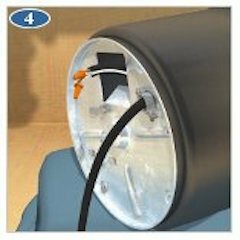 Align the discharge tube with drain pipe. Lock the disposal in place.